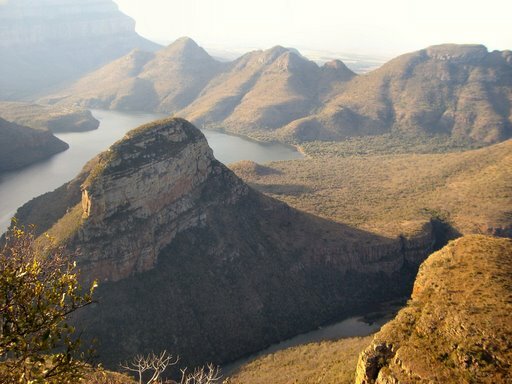 Blyde River Canyon is a significant feature of the Panorama Route and extends for about 20 kilometers from Bourke's Luck Potholes to Swadini. 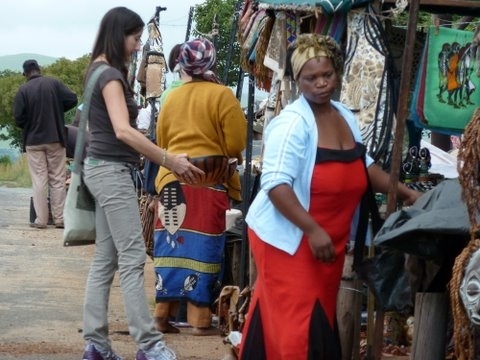 It is flanked by the Blyde nature reserve and the road follows the course of the Blyde river. The Three Rondavels ( round houses ) is the name given to 3 typical sandstone rock formations situated at the northern end of the canyon. 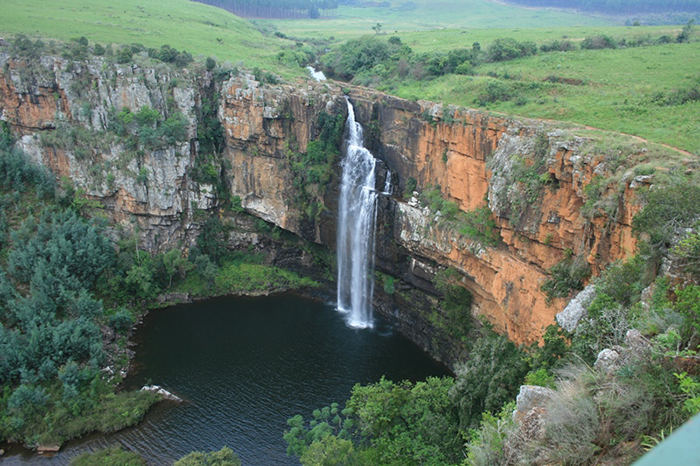 Visitors may take a short walk to photograph and view the Three Rondavels, Blyde Dam and vistas of the Lowveld. God's Window is a look-out at the edge of the escarpment. 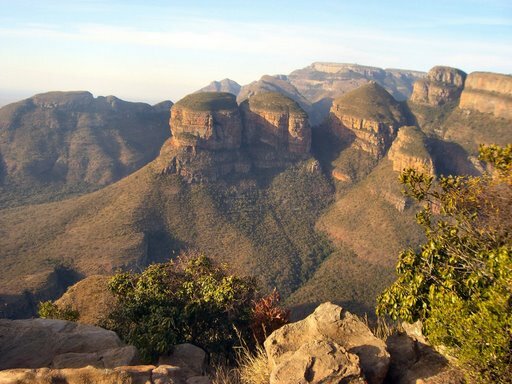 It is located in a cleft which is "framed" by the mountain cliffs and on a clear day provides a wonderful view looking east across the plantations towards Kruger Park. There are several observation areas with railings and steps leading to the rain forest. Visitors to this venue will remember the aroma of mountain herbs. Waterfalls are most impressive in the rainy season and we usually include Lisbon Falls or Berlin Falls. 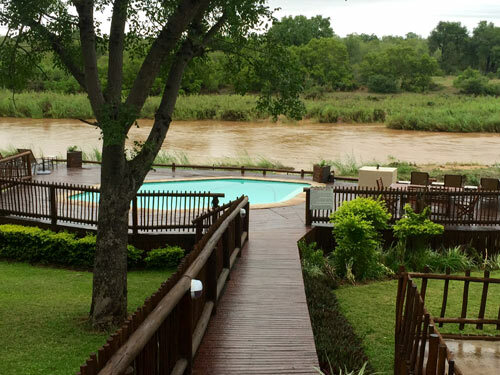 Located on the banks of the perennial Sabie River looking across to the Kruger National Park. Guests at Sabie River Bush Lodge can spot Big 5 species whilst relaxing on the raised wooden pool deck enjoying a sundowner. 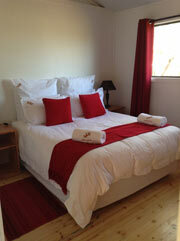 The lodge is a mere 19 kms from the entrance to southern Kruger National Park . There is a selection of accommodation including lodge rooms , river facing chalets & luxury river facing tents. We reserve rooms with private shower, toilet & aircon. The Gecko Lapa restaurant serves meals, drinks and also provides a wonderful view of the river & typical bushveld scenery as you enjoy breakfast & watch animals grazing in Kruger. Groups can arrange an evening meal in the boma with campfire & listen to the sounds of the nocturnal species such as hyena & jackal. Nestled amongst lush indigenous gardens on the outskirts of Hazyview lies Hippo Hollow, a short 10 minute drive from the Kruger National Park, making it the perfect choice of accommodation for your safari in Africa. Click here for more information on Hippo Hollow. Panorama route involves a detour to the north of our direct route to southern Kruger Park & we allow at least 3 hours for this excursion.